When decatting a petrol vehicle it is likely an engine management light will be illuminated and a fault code for cat efficiency will be stored inside the ECU memory (P0420). By careful recalibration of the engine ECU data we can disable the function of the second lambda sensor. 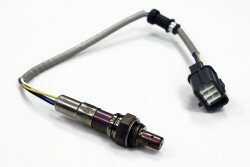 The second lambda sensor is used for monitoring the efficiency of the catalytic converter, by disabling the second lambda sensor it will allow a decat pipe to be used on a vehicle without triggering an engine management light or associated fault codes. Decatting a vehicle normally triggers a P0420 fault code (Catalyst System Efficiency Below Threshold (Bank 1)). Our lambda delete service will permanently remove this fault.